This must-have reference will help you navigate the complex world of science. It defines more than 6,000 words from 16 branches of science that are of particular interest to gardeners, from abscission (a plant’s rejection of an organ) to zoochary (the dispersal of seeds by animals). Hundreds of illustrations clarify key definitions and help explain abstract concepts. 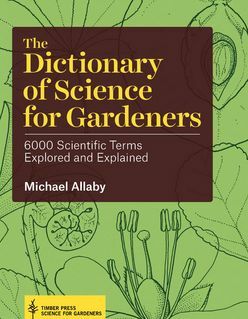 An A-to-Z reference to 6,000 terms from 16 scientific fields that are important to gardeners.